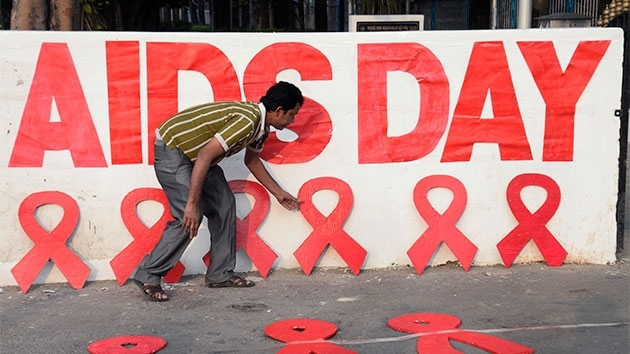 As World AIDS Day marks its 30th anniversary, there have been changes in both treating the once-mysterious disease and the ways in which those infected with them live their lives. “These were people in their late 20s, early 30s — people who shouldn’t be dying,” said Karpiak, who does not have HIV but has researched the disease for decades. “They’d call you on the phone and they’d say, ‘I’m diagnosed,’ and your heart would sink because they didn’t have much time here left on this earth,” Karpiak said of conversations with friends at the time. “As a closeted gay man, I was horrified that that’s going to be me or if somebody finds out that I’m gay they’re going to think I have AIDS,” he said. “When I talk to newly diagnosed people [now] I can assure them that things will be OK. My friends back then weren’t so sure. People still died, even if you got the new medication, people were still dying,” he said. “People are far less afraid of people with HIV than they were in the ’80s and ’90s,” he said, but noted that it varies in different parts of the country. “That’s really sad, that we have lost the solidarity that the gay community had in the ’80s,” he said. “I’m 48. I’m single. I was married to a man — we broke up — so I’m alone. I live alone. There are moments that I feel that I don’t want to die alone,” he said.